Getting your business message to stand out from the millions of other corporate stories online takes something special, but too many organisations are averse to taking a risk that could set them apart from the competition. It is the job of an agency to be brave and help a client understand the benefits from being a little bit different. Much like guerrilla marketing, shock tactics and ingenuity can make the most innocuous of brands grab the headlines. I recently came across the fantastic campaign Sortie en Mer, which I believe perfectly embodies the philosophy of daring to be different and has generated a sensation online. The campaign uses an interactive first-person video that plays out like a computer game. 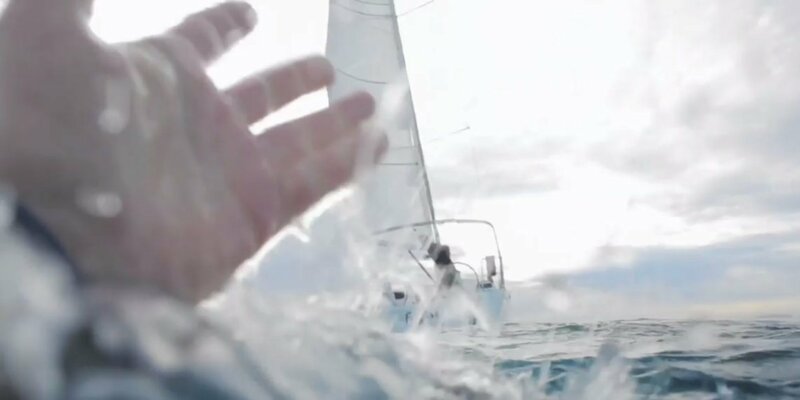 Starting on a yacht at sea, the protagonist is suddenly hit by the boom and knocked overboard, the viewer/player is suddenly challenged to save the life of the sailor. Running your finger of the scroller of the mouse keeps the sailor afloat, but your finger (much like your arms in real life) quickly tires and without your input the protagonist slowly slips underwater and drowns. “At sea, you tire faster than you think. Whenever you go out to sea, wear your life jacket”. To date, the game has been played by over 3 million people in just a couple of months, generated international coverage and has left a lasting impression on those who have played it. I highly recommend that you check it out, and ask yourself, would my clients benefit from a shock tactic approach?